Israeli Prime Minister Binyamin Netanyahu promised to look at US President Donald Trump's peace plan "with a keen and open mind," CNN reported. 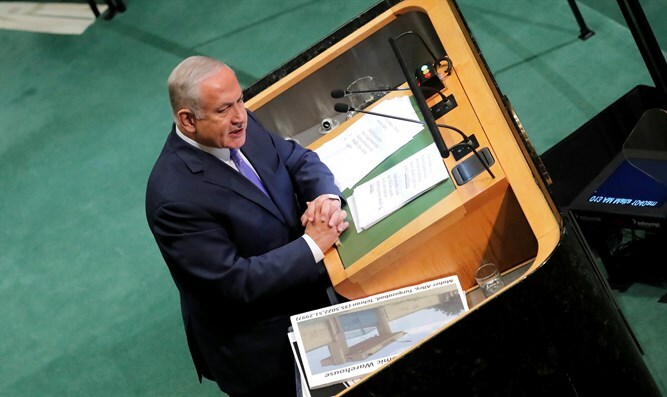 In an interview with CNN, Netanyahu said reiterated his commitment to a two-state solution, with Israel and the Palestinian Authority (PA) existing side by side. "I want the Palestinians to govern themselves, but not to be able to threaten us," he said. Netanyahu also told CNN that, "I've discovered that, if you use labels, you're not going to get very far because different people mean different things when they say 'states.' So rather than talk about labels, I'd like to talk about substance." He also said that he is "certainly going to look at it and look at it with a -- with a keen and open mind, because I know there's great friendship to Israel." "I always said that I'm willing to look at peace proposals put forward by the United States," he added.